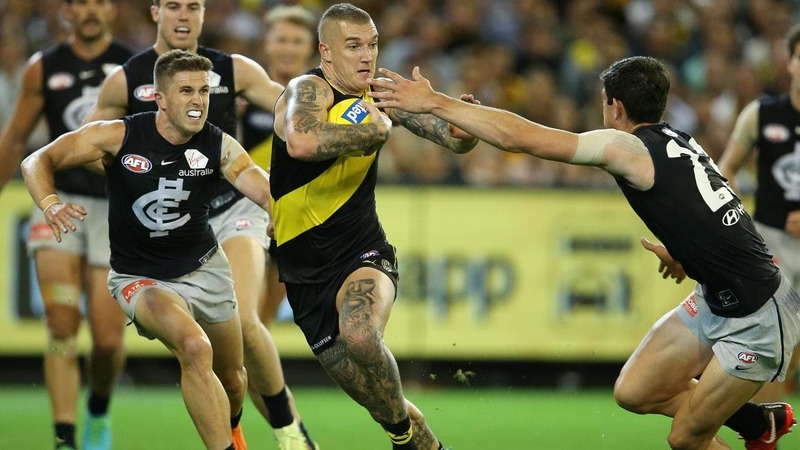 The Australian Football League, or more commonly known as ‘Aussie Rules’ 2019 season kicks off on Thursday 21st March with a blockbuster between two of the league’s oldest clubs, defending Premiers Richmond and Carlton and I-Rovers Sports Bar has all the action live!! THE AFL is one of the world’s highest attended sports with an average crowd of over 33,000 attending each game, however, if you can’t be at the game, then I-Rovers Sports Bar, Pattaya with it’s with 21 flat-screen televisions and surround sound creating a big game atmosphere is the next best place to watch all the action ‘live’! 2019 will the 123rd season of Australia’s favorite sport and with last year’s premiers, the West Coast Eagles providing their fans with a 3 rd flag and looking to go ‘back to back’, the interest in the game has never been higher! Every fan of all 18 teams will enter the new season with confidence their team has progressed during the off season to be considered genuine title contenders! So if you are in Pattaya and are keen to watch all the AFL action, join many other AFL fans who gather at Pattaya’s home of Aussie Rules, I-Rovers Sports Bar, located in the popular Soi LK Metro!